OK, that's the history lesson, and that's what we've lived with down here. Now let me address your specific questions. They don't just "express any interest". They are asked for their USHPA number, phone number, and an email address. They know very clearly that they are joining our club. Saying "anyone who has ever expressed any interest" is considered a member is misleading Ken ... and you know it. We do not charge membership fees because we have virtually no expenses and we're trying to grow the sport of hang gliding. We want to be able to invite members to monthly fly-ins and annual events like the Otto meets. We want to reach out and remove barriers to people being hang glider pilots. You can call that "a pretty meaningless way to define a member", but I'd call it exactly what the sport needs - camaraderie ... without a price tag. Furthermore, many people bump into hang gliding at a time in their lives when it may not be convenient or affordable to pursue properly. By keeping those people on our rolls, they get the monthly newsletters that remind them that it's something they've been wanting to do. Every month is another chance for them to take that step toward a lifetime of flying. I have no idea why USHPA would want to crush that, but apparently they do. "Expired USHPA members may be placed on inactive status as needed to maintain compliance with USHPA membership requirements." I should note that Sylmar (or any other club) could face a similar problem if you wanted to keep members in your club who might not continue to be USHPA members. If that group should ever grow larger than 30% you would be faced with a similar problem. I think our solution is a rational and fair response to USHPA's intrusive (and monopolistic) "70% USHPA" rule. But whether you like our system or not, there is no USHPA SOP against what we do. If there were, then we would abide by it and change our system. But there isn't. That's why I've asked numerous times for someone to cite a USHPA SOP or bylaw justifying USHPA failing to renew our Chapter status. So far, there has been no response (reminds me of my expulsion). Ken Andrews wrote: USHPAâ€™s Standard Operating Procedures (SOPs) have some requirements that USHPA chapters must meet. As I understand those requirements, the intent is that USHPA chapters should largely consist of USHPA members with a commitment to similar goals. Given how the Torrey Hawks defines â€œmemberâ€� and â€œvoting memberâ€�, I think it makes more sense to use the latter class when applying the USHPA SOPs. A. Chapters must have at least five members. membership numbers for USHPA members. positions. The 40% limit does not apply to non-pilot officers who are USHPA members. We have remained compliant with those rules, and we have submitted paperwork every year (including 2016) showing that we have been compliant with those rules. There has been no violation of any USHPA Bylaw or SOP that justifies USHPA simply refusing to renew us this past spring. I should point out, that the USHPA SOP's only require that a club have 5 members to be a USHPA Chapter. No one questions that we have 5 USHPA members in the Torrey Hawks. So if we wanted to "play games" we could submit our roster with myself and any 4 of our hundred+ USHPA members and still be compliant. Ken Andrews wrote: How many â€œvoting membersâ€� does the Torrey Hawks have? I don't know. There's no requirement to maintain a list of voting members or to provide such a list to USHPA. We conduct our elections in much the same manner as they do at Fort Funston. I was there during a vote, and everyone who met the requirements voted and those who didn't meet the requirements didn't. It was largely self-regulated and based on the honor system. Those who were regular pilots had a pretty good sense of who had the required hours and who did not. That's pretty much what we do at our meetings as well. So when a vote comes up, we ask that only people who've flown a hang glider in the last 3 years at Torrey cast a vote. If there's ever a question it would be dealt with by a fact-finding at the time of the vote just like they do at Funston. So far, it's never come up. Ken Andrews wrote: What percentage of the Torrey Hawks â€œvoting members" are USHPA members? I wonâ€™t ask for a list now, but may need it eventually to support the Torrey Hawks. As I mentioned, the USHPA SOP requires 70% of a club's members to be USHPA members. It's not a requirement based on voting members. For the Torrey Hawks, it's just above 70% (as per our procedure noted above). USHPA has an on-line verification system which accepts a list of USHPA numbers and tells what percentage are USHPA members. I've used that system for years. We were always well above the 70% limit, but we've gotten closer, and this last year I had to implement our bylaw which requires removal of the newest members who are not USHPA members. The list that we submitted to USHPA this past spring with our renewal paperwork was accurate and above 70% USHPA members. I can send it to you or you could request it from USHPA. Ken Andrews wrote: How do you solicit nominations for officers, and when are your annual elections? Iâ€™d welcome responses from any voting members of the Torrey Hawks about the annual election process, and whether the elections appear to be open and fair. The Torrey Hawks shall hold at least one annual meeting for the election of new officers. We have done that every year. It's always been at the September meeting which is the anniversary month of our USHPA Chapter status (which was September of 2007). This was the first year that we missed September and held the elections in October (last weekend). As club secretary, I usually send an email message to all members soliciting for candidates. As with many local clubs, it often involves asking (sometimes begging) people to fill otherwise vacant positions. In fact, in the nearly 10 years of the Torrey Hawks, we haven't had a single contested election. That makes it pretty easy. It also reflects a general satisfaction (or lack of severe dissatisfaction) by our members. Article II wrote: The Torrey Hawks Hang Gliding Club is dedicated to promoting and protecting the sport of Hang Gliding at the Torrey Pines Gliderport. That's why people remain members of the Torrey Hawks. It's certainly not because of me. In fact, it might be more in spite of me. It's because they believe in that simple statement, and they believe that we're doing our best to carry it out. We've even had some pure PG pilots with no HG ratings be members because they believe we're a positive influence at the site. Ken, there's no legitimate reason for USHPA to have not renewed the Torrey Hawks Hang Gliding Club's chapter status. I believe it was out of spite against me and to disadvantage our club in any efforts we might have in freeing Torrey Pines from the current concessionaire (or possibly some other favored bidder). I believe that many people will come to recognize this for what it is, and that will further damage USHPA's credibility, and unfortunately your own (since this happened entirely under your Directorship). Despite what people say, it has never been my goal to damage anyone's credibility. I just ask for fairness, and people damage themselves by denying it or ducking it. If you decide to support our renewal, you will have to do more than quietly ask and be refused. Injustices aren't so easily reversed. You will have to believe you're doing the right thing and be willing to be vocal about it. Otherwise, they'll just ignore you and do what they want. Moderation in pursuit of justice ... is no virtue. You're about halfway through your 2 year term as Regional Director. During your term in office, a long time USHPA chapter (nearly a decade) has been denied renewal with no justification given. We are at a critical time when our club could propose greater pilot involvement at our club's site (Torrey Pines). It appears that USHPA has done this with the explicit purpose of ensuring the continued concessione model at Torrey. What will be your legacy on this matter? It's sad to see what USHPA does to people like Ken Andrews. Ken knows there was no justification for USHPA not renewing the Torrey Hawks chapter this past year ... or he'd have a clear reason that he could state. USHPA put the pressure on Ken, and it's sad to see him not have what it takes to stand up to them. Itâ€™s become clear over the past year that there are many things that you and I disagree on. But this is the season to forgive each other our idiosyncrasies. Merry Christmas, Bob. Ken Andrews wrote: Merry Christmas, Bob. Merry Christmas to you as well Ken, but that's not the subject of this topic. Ken Andrews wrote: Itâ€™s become clear over the past year that there are many things that you and I disagree on. But this is the season to forgive each other our idiosyncrasies. This topic isn't about idiosyncrasies or personal disagreements either. This topic is about a 9 year USHPA Chapter being denied renewal for political reasons under your watch. This topic is about USHPA backing a paragliding business over a democratic hang gliding club at Torrey Pines ... again on your watch. While I appreciate your seasonal greetings and suggestions of forgiveness, they ring hollow without action. You've followed our renewal efforts for almost all of 2016, and you've even given us assurances that it would be done. But you haven't made good on those assurances. And most concerning of all, you've stood by and watched at a critical time in Torrey Pines history when we would have had a chance to propose a club operated and club insured site plan to the City of San Diego. Sylmar pilots are lucky that you were not a Region 3 Director when such decisions were being made at your site. Ken, you used the word "forgive", and this is a season of forgiveness. But at this time our club has still not been renewed for 2016 due to an ongoing injustice by you and USHPA. Furthermore, I remain unable to fly at Torrey or any USHPA-controlled sites due to another ongoing USHPA injustice. It makes no sense to consider the term "forgiveness" while ongoing abuses continue. Renew the Hawks and reverse the unjustified expulsion, and then we can talk about forgiveness. But now I've strayed a bit from the topic as well. So let me bring it back and ask you what USHPA SOP or bylaw YOU use to justify your refusal to renew the Torrey Hawks chapter. I am hoping this will be a great year for hang gliding. I had a meeting with Ken Andrew and Orian Price at the SHGA flight park on august 21, 2106. Orian was giving me legal consultation at the downfalls of on of my plans and he thought I might be filing frivolous lawsuits when I told him I wanted to sue every regional director who received any votes from a California resident for the maximum $10,000 regarding USHPA #1 reason for banning BobK (creating a competing organization) plus any thing else we can think of and throw in. This was the last time I saw OP in person and it was in regards of destroying USHPA in California. I am just plain sad we lost OP. I can blame it on executive committee sorcerery . I am just glad he found the spirit as science states energy cannot be created or destroyed as per conservation of energy law so he will go on. As far as attacking USHPA this winter, this is a bad idea to start a winter offensive just ask Napoleon who attacked Russia and was wiped out by the winter. and of course the Germans invaded Russia in 1941 and were also wiped out by the winter. 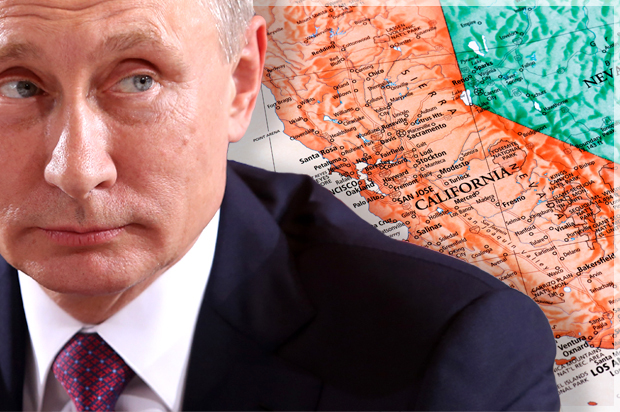 The Russians have hacked the 2016 election and created a disgruntled California that will now exit the union #calexit. Republican red states will gladly allow the 2/3 vote for CA to leave and allow a permanent republican president here forward. This will kick USHPA out of California which will form its own hang gliding association and buy insurance from Ireland for $38/month like most other EU countries like Austria. Problem Solved. The astute reader will note that USHPA Region 3 Director Ken Andrews has been unable to quote any legitimate reason why a 9 year USHPA Chapter - in his region - was not renewed in 2016. The astute reader will also note that this is the same behavior exhibited by Director Alan Crouse in the other topic. The term "Regional Director" is a bit of a misnomer since the decisions in each region aren't really in the hands of the "Regoinal Directors". Alan and now Ken have discovered that they have become "Regional Puppets" ... trading off their long-earned credibility for a seat at the Regional Director poker table. Happy New Year.Â God Bless OP's soul. Same to you Doug ... and to OP. His untimely passing is a reminder that we only have a limited window of time to stand up and do the right thing. Alan Crouse will forever be the Region 3 Director who didn't stand up for a member in his region, and Ken Andrews will forever be the Region 3 Director who didn't stand up for a chapter in his region. Our time to make history is short, but our time to be history is forever. "I wanted to turn California into USHPA's Afganistan (see US UK Russia efforts to stay there)"
Road Trip? The russians warned us in 1990. This topic is about a 9 year USHPA Chapter in your region being denied renewal for political reasons during your term as Region 3 Director. Ken Andrews' term is about 5/6ths complete. The most notewothy thing he's done is to claim that USHPA would renew the Torrey Hawks chapter ... and then silently watch as they didn't. Ken, your inability or unwillingness to fix this is further proof of the deep corruption in USHPA. I believe you were sincere in your expectation that our Chapter would be renewed. The test of your courage came when USHPA refused. I'm sorry to say that you failed that test. Peer pressure on the USHPA Board is extreme. Legal intimidation by Tim Herr is even more extreme. You're not a bad person for failing to stand up to them. It's the common pattern on the USHPA Board. Another month passes by and the Torrey Hawks chapter renewal from 2016 remains unprocessed by USHPA headquarters. On October 10th, 2016, USHPA Director Ken Andrews asked a series of questions. On October 11th, 2016, I answered them fully (bottom of page 1 and top of page 2 in this topic). In the 11 months since those posts, Ken Andrews hasn't been able to give a single reason why our chapter wasn't renewed. In fact, he hasn't responded in any way to the answers to his own questions. It makes me wonder why he asked them in the first place. In the microscopic HG/PG world, USHPA has been the big dog. They've done whatever they wanted to whoever they wanted with impunity. That is changing as land owners (like Los Angeles County) are shown evidence of USHPA's corruption. We didn't need to show the Torrey Hawks example to LA County because the record of my own unjust expulsion was sufficient to make the case. But with each injustice, USHPA undercuts their credibility further. Ken Andrews, when you became a USHPA Director, you took a pledge to do what's in USHPA's interests. You stand in violation of that pledge by allowing petty revenge to undermine USHPA's credibility with landowners like Los Angeles County. The Torrey Hawks chapter renewal paperwork was properly filed in 2016. It is awaiting approval. In all that time you have not shown one reason why it shouldn't have been renewed. I think Doug was correct in his analogy that Torrey is becoming to USHPA what Afghanistan was to the Soviet Union. In 2007, Brad Hall made a bad decision to back David Jebb over the USHPA members being bullied at Torrey. Lisa Tate (a long time friend of Brad Hall) went along with it. That bad decision became institutionalized in USHPA with the paragliding take over of the Executive Committee (Rich Hass et. al.). Now it is a cancer that's eating away at USHPA's insurance, USHPA's finances, USHPA's credibility, and the good will of many of USHPA's members. USHPA's leadership is making one of the most deadly mistakes in aviation history - not knowing when to turn back. This won't be fixed by going along with the crowd at USHPA. It requires someone with the guts to stand up and demand a course change. I did that during my own directorship, and the USHPA insiders retaliated against me. But in doing so, I cleared a path for subsequent directors to make the reforms needed. It will look much more suspicious for USHPA to orchestrate recalls of you or Dan or Alan after doing it to me. But that cleared path is only useful ... if you have the courage to take it. You assured us that our Chapter would be renewed because you recognized that we'd met all the requirements. You've been relatively silent since then because you know that USHPA had no justification for not renewing us. Silence isn't going to cut it any longer. It's time for you to get together with Alan and Dan and fix these abuses. The 3 Region 3 Directors should stand together on this. The time to reverse course is now. I think Doug was correct in his analogy that Torrey is becoming to USHPA what Afghanistan was to the Soviet Union. USHPA's leadership is making one of the most deadly mistakes in aviation history - not knowing when to turn back. The time to reverse course is now. Neither USHPA nor Ken has reversed course on the lack of oversight at Torrey. Now two more people are dead.